Summer is short but sweet in Alaska, and helping bring it to a close each year is the Alaska State Fair. The State Fair is a great place to bring anyone, from your closest friends to your most awkward relatives. The state fair is held in Palmer but the people come from all around the country. 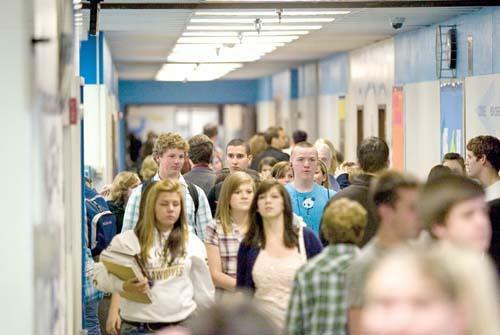 Whether you go for your children or because you love it, it is hard to avoid going at least once each year. Alaska is a big state, with big vegetables and plants to go with it. 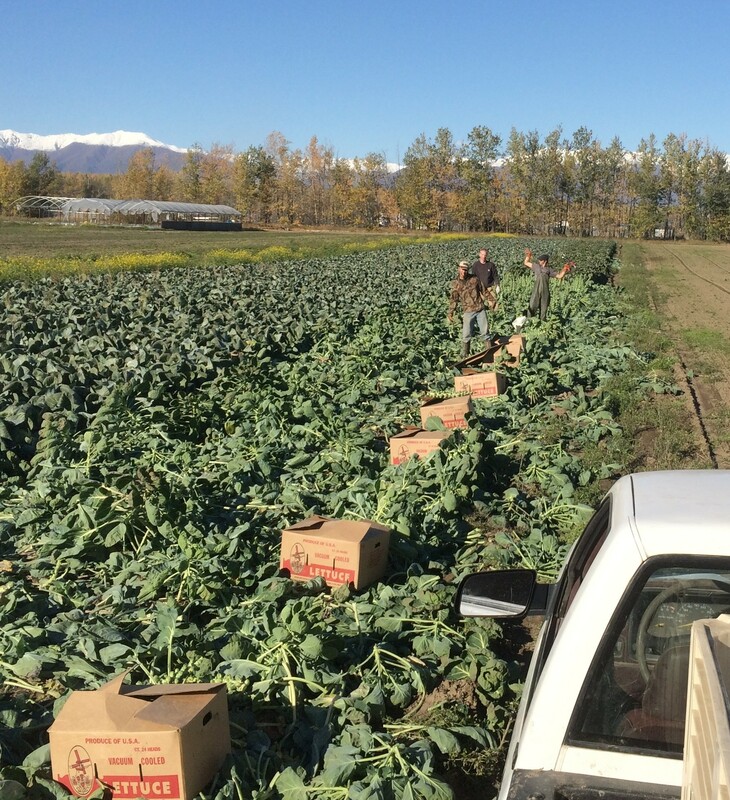 Don’t miss the seeing the giant cabbage weigh off, Friday the 1st of September. Created in Alaska, the many exhibit halls have an assortment of clever creations from hand turned bowls made of wood to dolls made out of pumpkins and cucumbers. There are also many types of delicious fair foods to be eaten, each with a nutritional value inversely proportional to their price. Cure your itch for motion sickness by going on some of the thrilling rides they have at the fairgrounds. Looking for entertainment? Take a seat and enjoy some of the shows at one of the fairgrounds five stages, or enjoy some of the amazing artists and bands performing concerts such as: Lecrae, Third Eye Blind, The Doobie Brothers and DNCE . If singing and dancing aren’t your thing, take a look at some of the livestock and animals that are being shown, and judged, in the barn. The Alaska State Fair is a great place to have fun in Palmer. 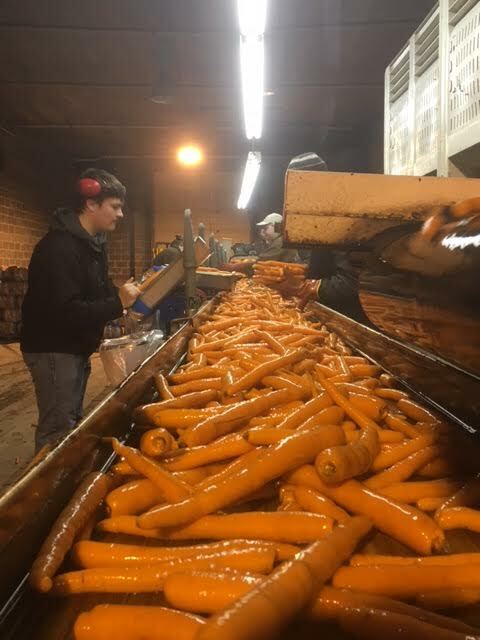 Whether you are looking for a place to take your relatives, wanting to see the award winning vegetables or loose your lunch on some of the amusement rides, there is something for everyone at the fairgrounds. The Alaska State Fair runs from August 24 till September 4 for 2017. 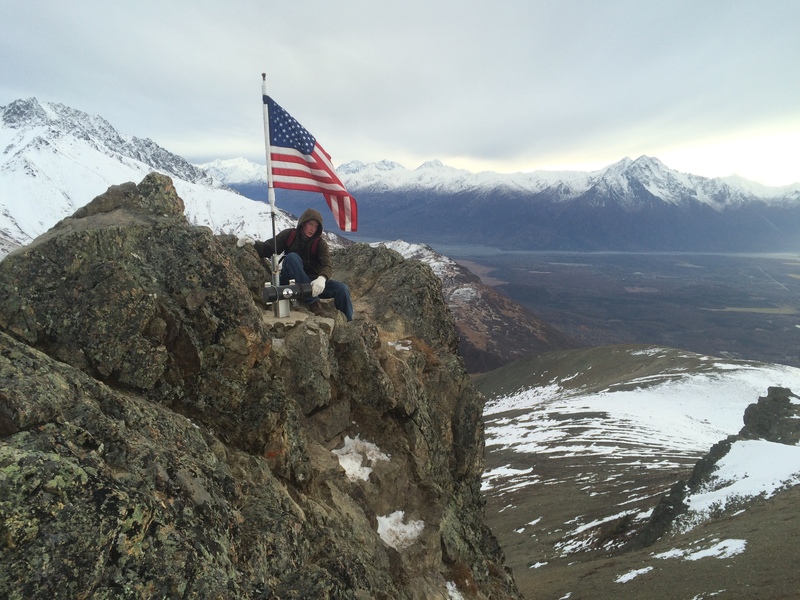 Come enjoy the last of summer in the Mat-Su valley. There’s a lot going on around Palmer this week! 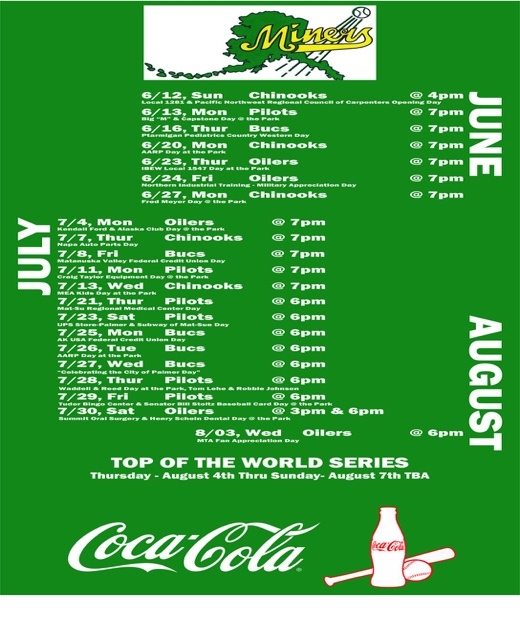 If you haven’t had a chance to catch a Mat-Su Miners Baseball game, your chance is tomorrow night, Thursday, June 23. Game starts at 7 pm, take your family out for some fun, sunshine and food while watching our local team play some great baseball. 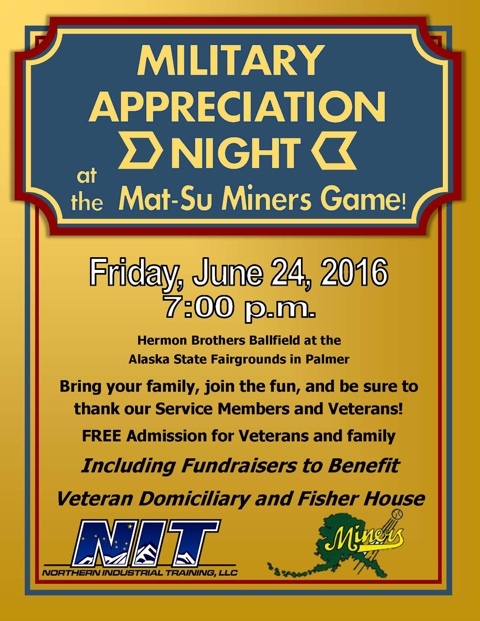 Also, don’t miss Military Appreciation Night with the Mat-Su Miners this Friday, June 24th at 7 pm. Bring your kids and family and enjoy this beautiful weather, grab some dinner and watch some great baseball. 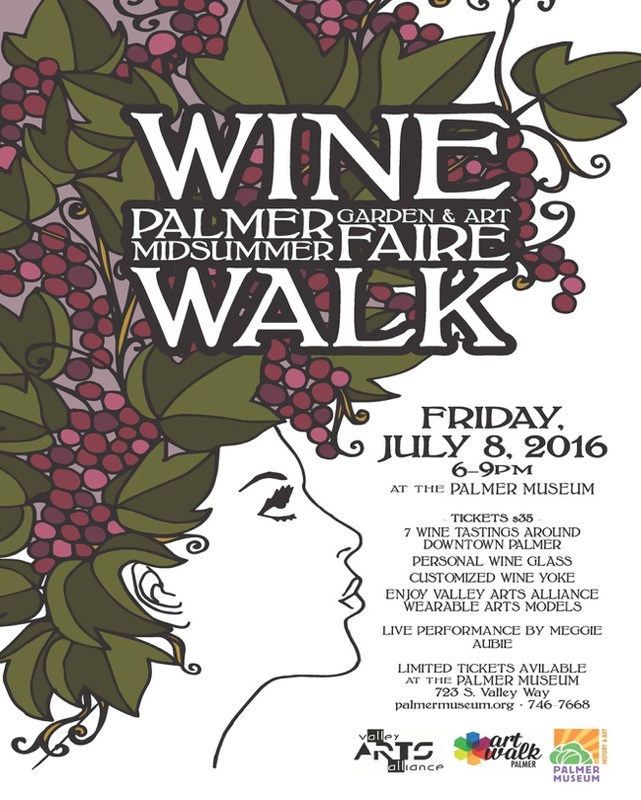 July 8th, the Palmer Museum of History & Art will be hosting the Midsummer Garden & Art Wine Walk in downtown Palmer. Another fun event coming up is the Palmer Midsummer Garden & Art Fair Rhubarb Rumble, July 9, 2016 in downtown Palmer. They will have lots of vendors, food and fun things to purchase. Come celebrate gardening, art and music in beautiful downtown Palmer, Alaska, during the one day festival the Palmer Midsummer Garden and Art Faire, PMGAF. This year’s PMGAF will be held on Saturday, July 9th, beginning at 10:00AM through 6:00PM (with our last musical performer ending at 8:00PM) . The PMGAF includes a variety of garden and art vendors from all over Alaska, FREE art, gardening and cooking workshops hosted by local artists, gardening professionals and chefs, live music all day on two outdoor stages and in one Cultural Events tent, the Rhubarb Rumble (a rhubarb recipe contest among our local restaurants and caterers where you are the tasting judges!) and introducing this year’s Topihairy Challenge (a garden-inspired hair style competition among Palmer’s local salons also judged by you!). This year’s event promises not to disappoint. For more updates on this year’s event, please visit the PMGAF web-site at: www.palmergardenandart.org Our small town is a wonderful place to raise a family. If you are looking to buy or sell property, give us a call and let us help you with all your needs. If you have any questions, please don’t hesitate to call our office at 907-232-7900.